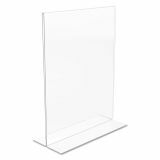 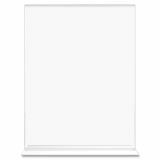 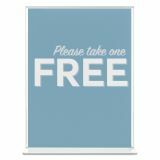 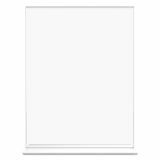 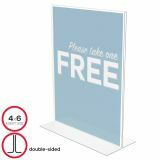 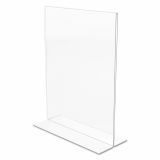 deflecto Classic Image Double-Sided Sign Holder, 8 1/2 x 11 Insert, Clear - Stand-up sign holder is ideal for retailers, restaurants, trade shows and hospitals. 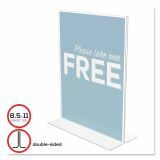 Bottom-loading, self-standing design makes it easy to use. 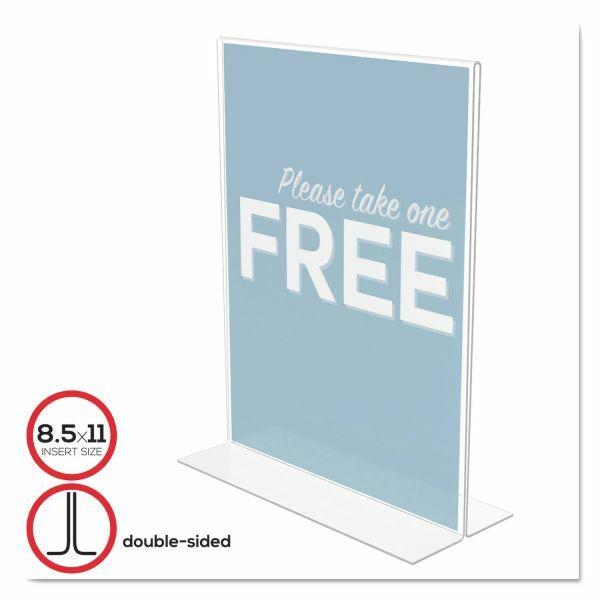 Sign holder requires no hardware to install. Simply insert sign and set on counter or desktop. 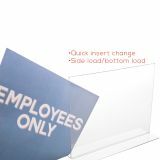 Transparent sign holder is made of durable, clear plastic.